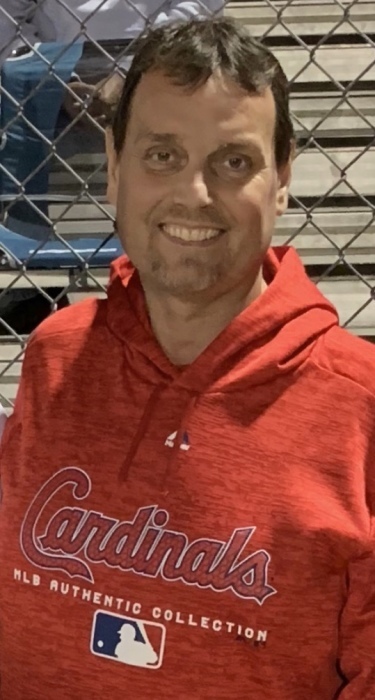 William "Billy" C. Roberts, age 47, of Gosport, passed away at 12:58 P.M. on Thursday, January 24, 2019, at his residence. He was born in Greencastle, on August 12, 1971, the son of Bill & Rosetta (Surber) Roberts. Billy was a 1990 graduate of Owen Valley High School. He attended Olney Central College in Illinois, majoring in baseball. He was the owner of Livewire Electrical Services for over fifteen years. He was recently elected and sworn in as an Owen County Commissioner. Billy's favorite pastime was spending time with his kids and being a Grampy. He was a baseball coach for twenty-five years, spending most the years with Owen Valley High School. He also coached boys and girls soccer, and basketball. He was involved in many community projects, he served on the Owen Valley Sports Complex Board as President, the Owen County Fair Board for many years, he was the voice of the Patriots, announcing volleyball and basketball. He and his daughter showed pigs on the National Circuit. He founded the Valley Stars Baseball team, coaching his boys while traveling to many World Series tournaments. He enjoyed spending time being a mentor to young children and making a difference in their lives. He was an avid Cardinals fan, enjoyed running the Owen County demolition derbies, and vacationing. He attended the Owen Valley Christian Fellowship in Spencer. He is survived by his wife who had been part of his life since age twelve, together thirty-five years, and married for twenty-seven years, Becky (Arnold) Roberts of Gosport. He is also survived by his parents, his children, Craig Roberts, Shelby Roberts (Jason Mosson), and Brandon "Casey" Roberts, his grandson, Trey, a brother, Jimmy Roberts (Stephanie Sparks) of Spencer, a sister, Debbie (Steve) Ison of Spencer, his maternal grandmother, Shirley Staley of Cloverdale, his mother-in-law, Lois Arnold, and former sister-in-law, Shelly (Mike) Roofe. He was preceded by his paternal grandparents, Bill & Stella Roberts, and his maternal grandfather, Frank Surber. Funeral service will be held at the Christian Life Center in Spencer at 11:00 A.M. on Monday, January 28, 2019, with Pastor Bill Grandi officiating. Burial will follow at Hudson Hill Cemetery in Spencer. Visitation will be held at the Christian Life Center on Sunday from 2-8 P.M., and Monday from 9 A.M. until the time of service. Billy's request is for friends and family to wear their favorite sports team attire.